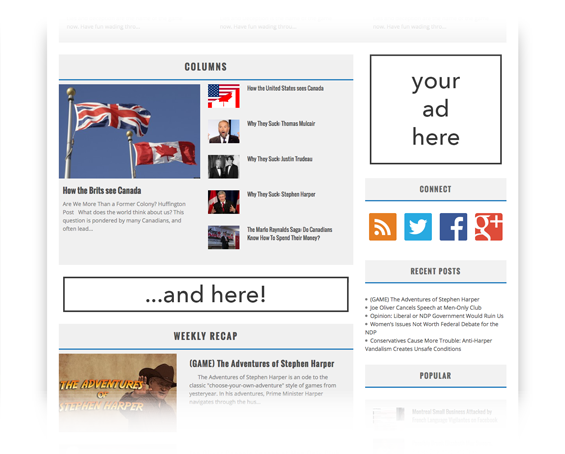 Advertise - The True North Times Inc.
Tried-and-true banner ads remain a viable option to drive customers to your company or product. We offer ad spaces that are unobtrusive yet visible to our readers. There’s nothing people hate more than pop-up ads or hovering banners above their content. We’ll make sure your product is front and centre, without scaring off potential customers with aggressive placement or pop-ups. 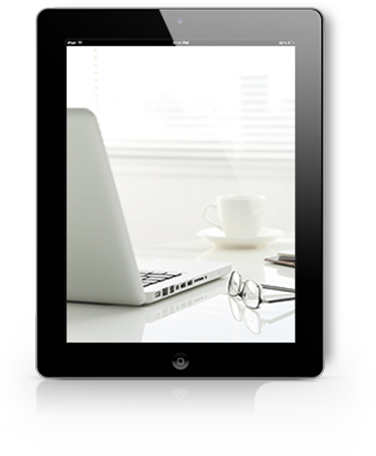 The newest and most promising method of online advertising is here. 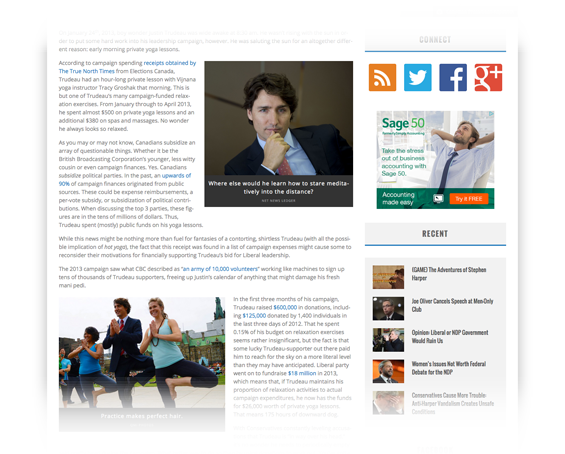 Native ads showcase your product or company while being smartly integrated in relevant content. Depending on what you choose, that could mean labelling you as a sponsor of specific content, or taking it another step further and making you a key component of the content published. Customers gained through native ads are sure to be long-term, relevant clients. Adspaces or native advertising not enough? Want to take it a step further? If you have an idea for a full-blown advertising campaign, we’re all for it. Send an email over to contact@truenorthtimes.ca and we will work with you to plan, execute, and analyze your advertising campaign. Your ad will fit nicely with our clean, minimalistic design. Through studying our in-page analytics, we've made sure your ad will maximize its potential clickthrough rate. Location, location, location. It's as simlpe as creating your banner and sending it over. Native advertising means your product or service is a meaningful part of the content. People who read our article and find your highly-related product or service within will be far more likely to carry over as customers. Let people know that you are kind of a big deal. Get in touch with our team! We’ll be more than happy to help.